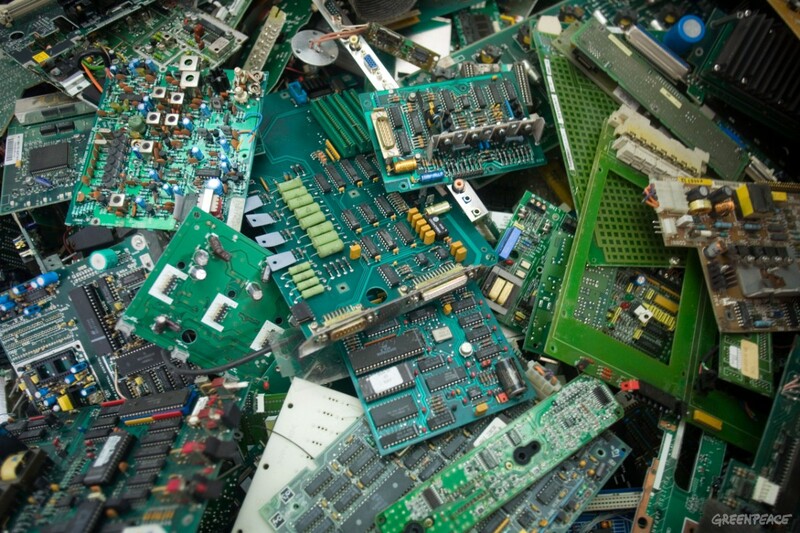 2014 saw a record amount of electronic waste discarded across the globe, according to a report compiled by the United Nations University. 41.8 million tons of refrigerators, televisions, washing machines, vacuum cleaners and other electrical appliances were thrown away last year, up from 39.8 million in 2013. Last year’s mountain of e-waste is equivalent to 1.15 million heavy trucks forming a line 14,300 miles long, according to the report. Waste that could have been recovered for recycling contained an estimated 16,500 kilotons of iron, 1,900 kilotons of copper and 300 tons of gold, worth $52 billion. The United States and China generated the most e-waste last year – 32 percent of the world’s total. However, on a per capita basis, several countries famed for their environmental awareness and recycling records lead the way. Norway is on top of the world’s electronic waste mountain, generating 62.4 lbs per inhabitant. Switzerland is in second position with 58lbs while Iceland rounds off the top three with 57.3lbs. The United Kingdom comes in fifth with e-waste per capita amounting to 51.8lbs while the United States is in ninth position with 48.6 lbs. Click here for more charts and infographics.